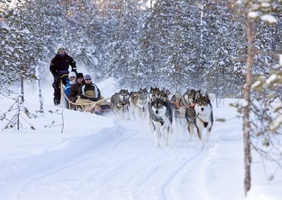 Experience this unique journey to lapland and be amazed by a blend of first class travel, with the most fascinating and invigorating winter activities in the region. 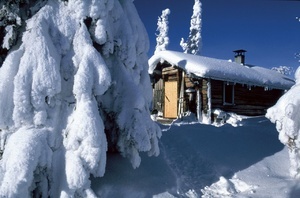 you will stay in saariselka with its dazzling white landscape as well as in rovaniemi. in sinetta you are treated to a night in a glass igloo, and weather permitting, you will see the breath taking northern lights from your bed. santa claus will be expecting you at santa claus village. You will also experience a visit at the sami reindeer farm and sleigh ride, as well as a husky safari, ending with a visit to the kings of the arctic, the polar bears, living in their natural northern conditions, at ranua wildlife park. Arrival to Ivalo Airport and regular transfer to the hotel for check-in. 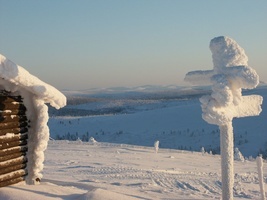 In Saariselka, the far north of Finnish Lapland, lies the popular resort of Inari-Saariselka. The unique northern countryside, national parks, lake areas, rivers and highland fells offer a wealth of opportunities for year-round travel. In winter, the Northern Lights dance across the sky up to 200 days a year. 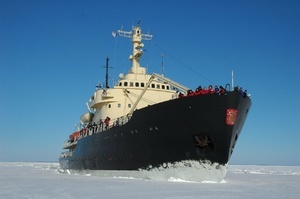 The legendary Saariselka is the northernmost travel destination in Finland and boasts a variety of services. In Inari and other villages in the area, the Sami culture is still very evident in everyday life. 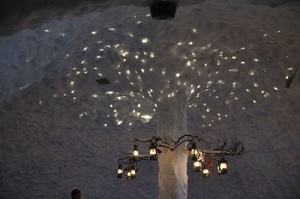 This is where you will find the genuine Lapland. The rest of the day is at leisure. Please consult the our company welcome letter, which you will receive upon check-in at your hotel, and kindly note where and when to meet your Tour Director. In the morning after breakfast you will travel by bus to Rovaniemi where you will check-in at Santa´s Hotel Santa Claus where your Christmas adventure can begin. Once you have settled into the hotel, you can enjoy a buffet dinner of traditional Lappish food. You may choose to round off the night with the unique experience of a Finnish sauna included. The day continues with a visit to the world-famous Santa Claus Village, built right on the Arctic Circle and home to Santa Claus. Stop by his busy post office where you can ask Santa to send a letter to your loved ones just before Christmas. Take a step into the magical world of Santa’s home and meet Santa himself. No words can describe the emotions of this fairy-tale-like moment. It is something you will always remember. 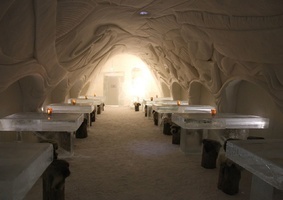 A must for any visit to Lapland. Scandinavian buffet breakfast at the hotel before departing on another day of adventure. 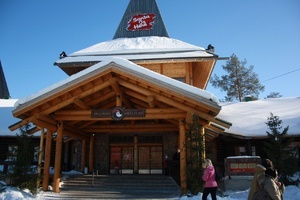 This morning we will visit the Ranua Wildlife Park, situated 80 km south of Rovaniemi, 1 hour by coach. The Ranua Wildlife Park, established 1983, specializes in arctic and northern animal species. The spacious animal fencings are amid northern conifer forests, the natural habitat of most of the animals. You will be able to enjoy a guided tour of this beautiful park and visit different animals and birds. The guide will provide you with interesting and detailed information about the animals and their personalities, as well as answer whatever questions you might have about the animal life and artic nature. Enjoy a self-service lunch at the restaurant in Ranua Wildlife Park. After lunch, you will have one hour to visit the surroundings. You may want to visit the souvenir shops, the Fazer factory and the local wine shop with their unique selection of wines made from berries. Return to Rovaniemi, remainder of the afternoon is at leisure. Max. 2 children per room sharing with parents up to the age of 12 years. This does not apply to Glass- and Snow Igloos and must be pre-booked and confirmed by Borealis Destination Management. Due to the nature of the tour children under the age of 4 will not be accommodated. Regular Transfer Service included in the program are only available for transfers from Ivalo Airport & to Rovaniemi Airport and only on the published official date of end of the tour. The transfers are escorted by an English-speaking representative from Borealis Destination Management and is shared with other fellow passengers; therefore, minor waiting time at the airport may occur. This transfer service is not valid for passengers with pre/post nights or passengers who require private transfers – for a supplement, private transfers can be reserved.